Vancouver, sometimes dubbed the ‘Hollywood of the North’ for its vast filmmaking industry, is located in the Pacific West Coast. 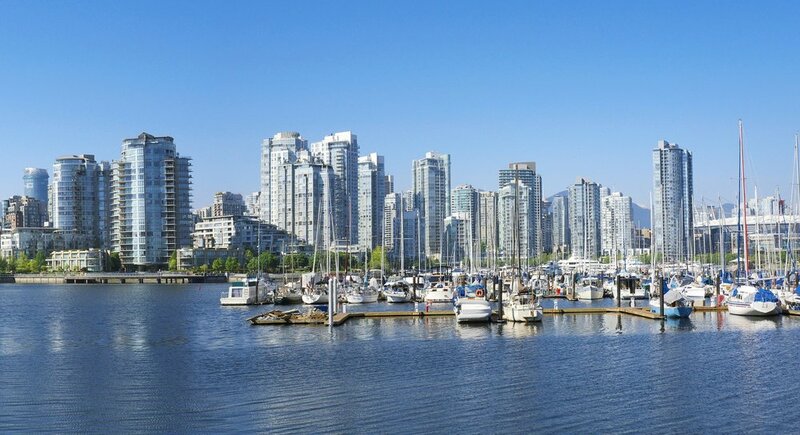 Vancouver is a major seaport on the mainland of southwestern British Columbia, Canada. It is surrounded by water and mountains, making it a coastal gem, popular for its gorgeous natural scenery, mountain ranges, and breathtaking views across the city’s skyline. Vancouver’s perfectly located, it’s just under one hour’s drive north of the Canada-U.S. border. The city limits cover an area of 114 square kilometers (44 sq mi). The Greater Vancouver area hosts just over 2.4 million people, 25 percent of which live in the city, making Vancouver the most populous city in British Columbia, and its metro area the third largest in the country. 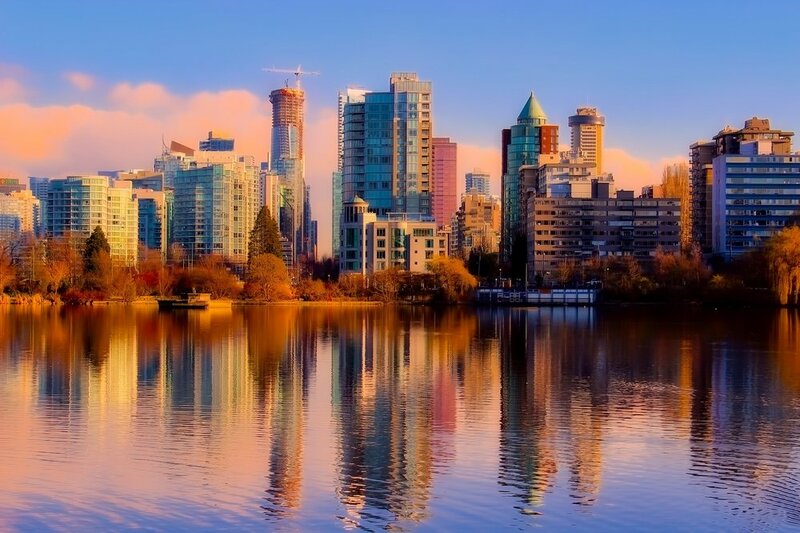 Consistently voted as one of the safest places to live in the world, Vancouver offers an enviable standard of living. Vancouver is a multicultural meeting point - 52% of the city’s population speak English as a second language. 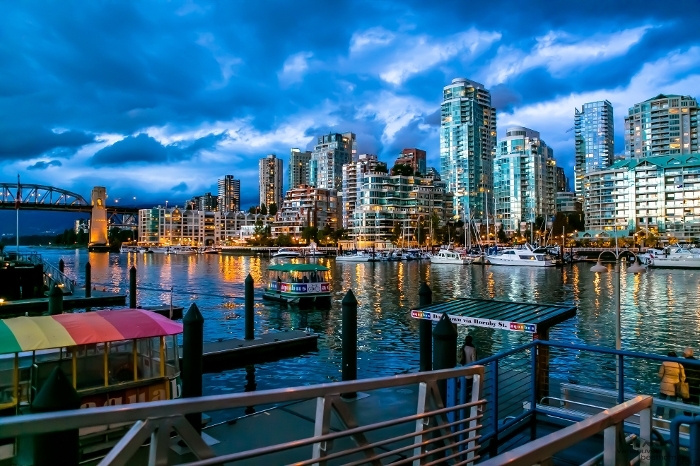 Unlike most of the country, Vancouver has a pretty mild climate, making it a desirable place to live. Added to that, the economy keeps growing, particularly in industries such as financial services, real estate, education, the high-tech sector, and film production. Walking around Vancouver, you are likely to come across your favorite TV show set; at least 200 films and television productions are shot there every year, making it the third largest film production centre in North America. Vancouver’s heartbeat and economy thrives on its welcoming atmosphere, as is evident by numerous restaurants, museums, and businesses that cater both to the residents and tourists. Just a few of the popular sights include the University of British Columbia, Stanley Park, Grouse Mountain, and the Lions Gate Bridge. The city hosted the 2010 Winter Olympics and is home to sports teams like the Vancouver Canucks (hockey), the Vancouver Giants (hockey), and the BC Lions of the Canadian Football League. Residents agree that Vancouver is one of the most beautiful cities you could find on our planet, and some visitors tend to agree. Despite the constant massive developments going on, the city still retains much of its almost rustic natural beauty and stunning scenery. Interestingly, Vancouver is a relatively young city that started from Gastown and was incorporated in 1886. Sadly, the Great Vancouver Fire gutted it that same year, leaving just a handful of buildings standing. But just four days after the fire, reconstruction work was already in progress and the city today is a testament to the resilience and determination of the generations of people that have lived there. Let’s take a look at the top 10 neighbourhoods in Vancouver. Be assured that whatever your housing needs are, you’ll find something that suits you. Yaletown is located in the south-east Downtown area of Vancouver and is easily the trendiest part of the entire region. It’s a stylish historical district that served as a rail yard in the 19th century. Today, Yaletown is a popular and sophisticated cosmopolitan neighbourhood that never lacks interesting things to do and see. You could easily walk from place to place and enjoy local sights like B Place, Rogers Arena, Vancouver Symphony Orchestra, the Orpheum Theatre, Yaletown Roundhouse Station, plus numerous shops, restaurants, nightclubs, etc. Everything comes together to create a warm and welcoming atmosphere. Located right in the heart of Vancouver, False Creek is a short inlet that separates Downtown from the rest of Vancouver city. There’s so much to see here, from the stunning waterside condos to the wildlife. Lovers of watersports will particularly appreciate the unique outdoors adventures teeming in this location. False Creek has 10 marinas with berths for 1500 watercraft. Enjoy kayaking, dragon boating, canoeing, or just take a ride on any of the ferries and charter ships available. Southeast False Creek is home to the 2010 Olympic Village. Vancouver’s City Council has many plans for this area, such as the False Creek Flats Program. 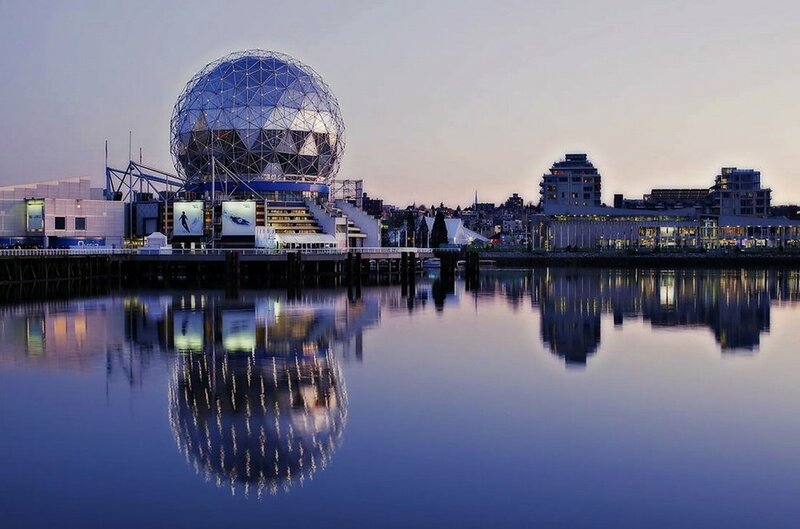 The easygoing, young, and vibrant West End is a mostly residential area and one of the most popular destinations in Vancouver. It’s a compact settlement resting at the western half of the downtown peninsula and bordered by beaches, Stanley Park, Coal Harbour, and Downtown. Vancouver West End is also gay-friendly and one of the more affordable places to live. West End is a truly diverse neighbourhood from its mix of Canadian/immigrant residents to its buildings - townhouses, duplexes, large heritage buildings, and residential towers. Adjacent to the Downtown Eastside, in the Vancouver east area, lies Vancouver’s oldest neighbourhood and birthplace - Gastown. It was founded by Jack ‘Gassy Jack’ Deighton in 1867 and is the site of the city's first business. By April 1886 Gastown and the surrounding forest area were incorporated as the City of Vancouver. Gastown is an eclectic mix of the old and the new. Major attractions include the Victorian architecture, galleries, Water Street, the Vancouver Lookout, the statue of Gassy Jack Deighton, the Steam Clock, etc. Gastown also boasts of some of the best culinary experiences available in Vancouver and stylish locals and tourists gather there for its restaurants, bars, and shopping fun. The area is a national historic site and offers reasonably priced apartments. Originally a Musqueam village, Marpole has changed rapidly to become a major gateway point into Vancouver. Marpole is a hub of activity with a light rapid transit line that crosses the Fraser River and three bridges. One of them, the Arthur Laing Bridge, leads to Vancouver International Airport. Marpole has many options of great value apartments and is more family-oriented so you won’t see as many bars and restaurants as in other parts of the city. However, it does enjoy a fantastic public transportation system. You’ll find a variety of residential housing in the area alongside several major commercial streets and shopping centres especially along Granville Street. Kitsilano, or Kits, grew from a small village to become a top city neighbourhood strip in the city and a magnet for young people in Vancouver's west side. Located to the west of the city, it’s a popular destination for beach lovers and home to Kits Beach and Jericho Beach. Largely because of the beaches, Kits is a centre of activity, especially during the summer months. Young families, professionals, yoga enthusiasts, and students are all attracted to this bustling and diverse neighbourhood. Some attractions there include yoga studios, cafes, organic markets, apartment blocks, Vanier Park, the saltwater Kitsilano Pool, business districts, and Greektown. Shaughnessy holds the title of one of the most prestigious neighborhoods in the entire country. Located in South Granville, Shaughnessy has some of the oldest mansions and stunning grand estates you can find in the region. The Canadian Pacific Railways developed the area for elite households back in 1907. As expected, Shaughnessy appeals more to the affluent with its high-end shopping and excellent restaurants. However, there are plenty of affordable offerings to enjoy too. Shaughnessy is home to plenty of greenery and exotic plants like those at the VanDusen Botanical Garden. Mount Pleasant is easily Vancouver’s coolest neighbourhood. With a mix of old and new buildings, residential and commercial, everything perfectly blends to create this vibrant centre for arts and culture. This neighbourhood is a popular choice for first-time home buyers, young urban professionals, and families. Unusual stores, heritage buildings, and artistic residents line the streets alongside street art and modern cafes and bars. Mount Pleasant is also host to several summer festivals like the Vancouver Mural Festival. Killarney neighbourhood was one of the last parts of Vancouver to be developed, so you can still enjoy large expanses of forests there. This settlement rests mostly on the slope of the rise from the Fraser River and is a melting pot of diverse ethnic groups. The pace of development accelerated after World War II, and today Killarney is known for several successful projects at the Fraserlands and Champlain Heights with many still underway. A walk along Fraser River walkway gives delightful views of a steady stream of boats plying the water, marine wildlife, Mitchell Island, and the Knight Street Bridge. Although it’s popularly known as a retirement destination, Kerrisdale’s proximity to UBC makes it attractive for students seeking off-campus accommodation. This neighbourhood is South of Kitsilano and is easily accessible from Downtown. You’ll find many of Vancouver’s affluent retirees living in the high-rise condos but there’s affordable housing for the younger population too. Looking for some excitement in Kerrisdale? Head down to the charming Kerrisdale village for an array of shopping and restaurants with something for every budget. Concord Pacific is a leading condo builder with completed developments in the Vancouver area and beyond. Their buildings are designed to be in synergy with their surroundings, and with shops, parks, marinas, and recreation. Their latest condo project - Avenue One - will be based in South False Creek. Adera has built more than 10,000 homes across British Columbia. Their buildings cut across both residential and commercial uses. In Vancouver, they are responsible for a number of world-class condo buildings including the Virtuoso at UBC and the Shore North Vancouver. The Polygon family of companies has been in the business of building homes in Vancouver since 1980. Since that time, they have completed over 27,000 different types of housing units from concrete high-rises to wood-frame condominiums, townhomes, and single-family homes. Notable developments include R + R in Vancouver’s River District Community and Eton at UBC’s Westbrook Village. 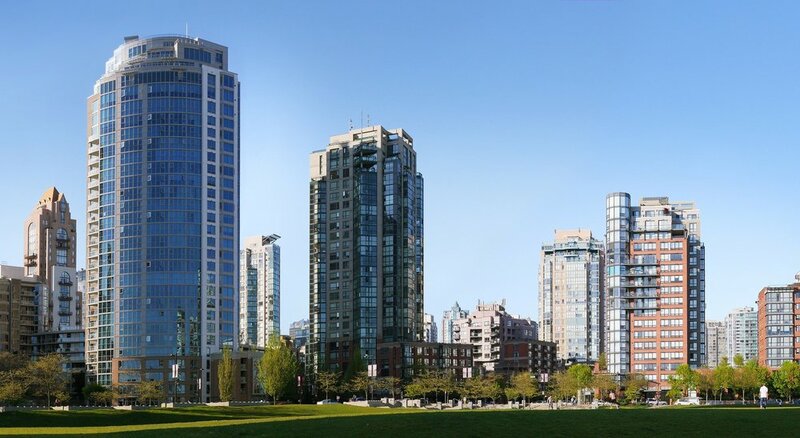 Onni has more than 50 years track record of delivering high-quality commercial and residential developments across Vancouver, Toronto, and some major cities in the US. Their latest condos include the 1335 Howe at Vancouver’s Beach District and the Charleson in Yaletown. Cressey Development Group construct buildings that people can call home. They’ve been in the business for four decades and have built over 3,000 units. Their many high-rise residential successes include the Maddox in Downtown Vancouver, Beverley in White Rock, and Sterling at West Boulevard. Bosa Properties is a family business that has grown in nearly 50 years to become synonymous with quality, excellence, and commitment to building development. They have designed and delivered over 4,000 housing units to date including 225 homes at the Miramar Village Phase 1 in White Rock. Westbank Corp is best known as one of the leading luxury residential developers in Canada. They have handled projects of different kinds from luxury condos to hotels, retail complexes, and industrial projects to the tune of over $5 billion. They have two active high-rise condo buildings in the works; one at Burrard Street and the other at Horseshoe Bay. Ledingham McAllister is responsible for 2,800 home units across BC, and they achieved this feat with a solid reputation for commitment, performance, and integrity. Radius condos in the popular Kitsilano neighbourhood is their latest project. Concert Properties is a partnership created back in 1989 to provide rental housing in BC. Their range of successful projects since then varies from condominiums to rental apartments and commercial/industrial properties. Concert is the brains behind the Navio, a set of two condominium buildings at Southeast False Creek. Building extraordinary homes has been the focus of Intracorp for over 40 years now. Intracorp is currently nearing the completion of The Jervis, an intimate collection of 58 numbers of two and three bedroom homes in Vancouver’s West End. The Vancouver real estate market is historically a reflection of a strong BC and Canadian economy and the outlook for 2018 remains positive. Over the last year, housing prices were up as well as sales, while listings were down in the Greater Vancouver market. This year, the market is stable so far with home prices going up by 0.6% averagely compared to December 2017 figures. The Vancouver Real Estate Board publishes up to date monthly reports on the real estate market's progress. 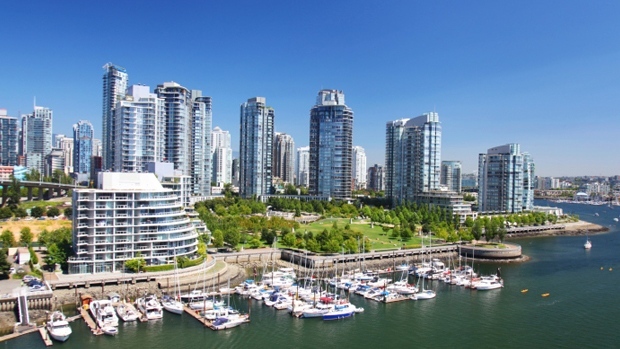 Interestingly, the condominium market remains the focus of most activities in Vancouver. Condominiums accounted for all of the 0.6% price increase so far. That trend will likely continue especially because of the federal government’s new stress test mortgage rules. The immediate effect will likely reduce demand for higher-end homes, directing more attention to apartment blocks or condos. Demand is still high and there are several factors that continue to make Vancouver a prime destination for condos: the large influx of immigrants, a student population that’s still short of adequate housing, and the strong Canadian economic forecast. Affordable student accommodation is an investment opportunity that builders should consider. For instance, UBC has thousands of foreign students on their housing waitlist. These students must live somewhere and they inevitably have a direct impact on condo unit prices. Companies like CIBT International Group have waded into the situation and now invest heavily in student housing. As population and economic activities remain upbeat in Vancouver, the emphasis in the real estate market will remain on multi-tenanted housing units. The facts are glaring and demand can only go upwards. As the demand for housing in Vancouver continues to increase despite its limited geographic size, the city continues to expand vertically in the form of condominiums. And it’s not just millennials that are opting to own condos; retirees too are choosing them in place of single-dwelling homes. This translates to more competition for the available units on the market, particularly the more affordable units. As a direct result, buyers feel pressured to make a quick decision. Buying a house, whether it’s for living in or as an investment vehicle, is an important decision that could impact your finances for many years. The below tips will help you snoop out a good deal and make the right decisions. Start with your accommodation needs. Are you housing a family or just yourself? How many people do you expect to live in the unit? Will you have little children with you, family members with special needs, or pets? This will help you decide straight away the size of the condo unit and the number of bedrooms you’ll need. Which Vancouver neighbourhood would you like to live in? Write everything down so you have a clear picture of the task at hand. You can use tools like Vancouver Magazine’s online calculator to check for availability of public facilities like schools, public transit, hospitals, shopping centres, etc. Now look at your finances. The average condo price in Vancouver city is around $775,000. Add to that figure the funds for moving and condo maintenance costs. So, unless you’re doing really well at your job (and if you are, congratulations!) you would likely need a loan to fund this venture. There are different sources of loans including banks, credit unions, and mortgage companies. Generally, they will be concerned with your income, debts, assets, and credit score. Get the pre-approval in writing with the guaranteed interest rate that’s usually valid for between 60 and 120 days. It’s good to search online and look at pictures but for condos and property in general, legwork is better. Go out and look at the offerings physically for Vancouver condos for sale. By now you already have a neighbourhood in mind so start by asking for referrals from friends, family members, or acquaintances. Get a feel for the immediate environment, compare prices and amenities, talk to different agents that are experienced in selling condos and choose an agent you are comfortable with. Narrow down your choice of condos to one or two premises. You are going into this for the long haul so now is the time to address any concerns or questions you may have. Try to find out about the developer’s experience and reputation. The condos will come with loads of shared responsibilities, so you’ll want to be clear on the projected maintenance fees, association fees, any special projects costs, community rules, shared amenities, and possible upgrades. If everything checks out, now is the time to hire an inspector for a building assessment. This stage may seem stressful, but if everything is done properly, it could save you a lot of grief in the future. Find out about the maintenance of the shared areas as this is critical to your enjoyment of the property. If upkeep is outsourced to a company what is their reputation and what exactly are they responsible for? Finances? Day-to-day operations? Enforcing rules? Major or minor repairs? How responsive are they? Ask as many questions as possible. Q. How do Condos differ from other home units? A. The term ‘condo’ refers to legal ownership of a housing unit in a condominium corporation. The difference lies in the title and management of common shared areas rather than the structure of the building per se. Therefore, a condo could be a villa, an apartment condo in a high-rise building, or a townhouse. Q. Which neighbourhood should I pick? A. Choosing a neighbourhood for your condo depends largely on your taste, needs, and budget. It’s always a good idea to look at as many different areas as time permits you before making a final decision. What are the most important factors for you? Public transport, schools, a bustling urban environment, or the laid-back suburb living? Answering these questions will help you make an informed decision. Don’t forget to ask around for advice from friends or condo experts too. Q. What should my condo fees cover? Q. Why do condo fees differ so much? A. Some factors determine the fees for Vancouver condos. Most importantly, condo fees are directly related to the property’s location and the kind of services home owners will enjoy. Amenities like swimming pools, gyms, elevators, etc will mean more staff to employ, more machines to monitor, and more expenses. Added to that are considerations like how old the structure is and how many housing units share common areas. You’ll usually find that the more units sharing common costs, the lower the fees per condo. Q. What is a Capital Reserve Fund? A. As buildings age, there will be need for major repairs and replacements in the common areas. Examples are roof repairs, road work, replacement of major plumbing installations, etc. These kind of costs are usually expensive. The capital reserve fund is ‘emergency’ money set aside over time to handle these costs. Q. Should I pay for upgrades? A. Paying for upgrades could be a good decision depending on what you need and the asking price. Builders would normally provide a basic unit for occupation. After that, it’s up to you to choose what kind of improvements you want on top of that, not necessarily what they attempt to convince you to pay for. Depending on your location, you may want to consider upgrades like a parking spot, or an up-to-date kitchen, bike rack, bathroom furniture, walk-in closet, or in-suite laundry, as they could significantly improve the value of your unit. Once again, the rule of thumb is not to go too extreme with expenses. Q. Who is responsible for insurance? A. Just like any other property, your condo could be damaged by perils like fire, vandalism, and wind. The condo association will arrange for insurance of the common areas. Thus, you would need to get coverage for everything contained within the four walls of your unit. So, every year, the City Council adopts a budget and passes a general tax levy that must raise enough funds to cover the debts and obligations in the annual budget. 50% of the annual budget revenue comes from property taxes while utilities and user fees account for the rest. Property tax rates in Vancouver are relative, calculated as a percentage of every $1,000 of your property’s taxable value. The rates differ depending on what class your property belongs. For instance, residential property is ‘class 1’ while businesses are ‘class 6’. Aside from the City Council, five other government institutions also raise part of their annual revenue from property tax. They include the BC Government (for school funding) and Metro Vancouver Finance Authority (MFA). Fees for low-rise buildings tend to be less than those in high-rise buildings. Condo fees are not arbitrarily set. They are calculated based on a budget that will keep the property in good shape as agreed between the owner’s association and the maintenance company. Fees vary widely across Vancouver, but you can expect anything from $0.60 - $1.00 per square foot for each unit. Condo fees will differ depending on the type of building, its age, and the facilities available for residents. These fees are inevitable and cover a wide range of services that keep the common areas running. They’ll also relieve you from a lot of stress, and will save your time and money in the long run. Without fees, the entire property would quickly fall into disrepair. The older the building and services, the more likely the need for, and frequency of repairs. Fees may rise and fall proportionally to utility rates and maintenance costs annually. However, the tendency is to rise slowly every year. With more and more people opting to leave their single-homes for condo living, you may be wondering what the pros and cons are. Here are a few points to consider. Depending on the location, condos may be more affordable to buy and maintain than a freehold home. For those attracted to the bustling lifestyle of the city centre, a condo would likely be the best option available. Don’t want to drive to work? Ditch your car and take a stroll. You’ll also enjoy easy access to recreational facilities, entertainment centres, and public transportation hubs. Inside your building complex you can enjoy services like a swimming pool or gym that are not typically available in a single-family home. Owning a condo can offer you more protection and peace of mind since you don’t have to worry about things like setting an intruder alarm before going to bed every night. Older adults suffering the ‘empty nest syndrome’ would also appreciate knowing that there are neighbours around them. Common areas like the pool and clubhouse will allow you meet and interact with others if you so wish. The condo fees you pay ensure that you don’t have to get directly involved with maintenance and repair issues in the common areas. An appointed party is responsible and accountable for the daily operations of the facility. Your condominium building will have house rules to provide cohesion and prevent/resolve conflicts. Unfortunately, there will always be residents who find it difficult to obey some of the rules. And the property manager may lack the authority to handle residents conflicts amicably. That’s where the real estate board comes in. Residents/owners come together to elect board members that will among other things act as a watchdog over financial issues, legal matters, conflicts, etc and communicate accordingly with all stakeholders. The rate at which the value of a condo appreciates may not be as high as for a freehold property. The exception to this would be condos in pricey metropolitan locations. This has got to be the single most common complaint you’ll hear from condo owners. But fees will remain for as long as the building exists and people are living in it. There’s really no escaping it. If you are a very private person and you crave a quiet and serene environment, condo living may not be for you. Outside the four walls of your unit, you have limited influence on what goes on. If other residents make a decision you don’t necessarily agree with, you’ll have to live with it. You’ll also have to interact with condo boards and abide by their stipulations. Finding the right condo for sale in Vancouver, and deciding to purchase it, whether as a home or for investment is an important decision. Luckily, our team of experts knows every corner of Vancouver and the surrounding areas. Let us work with you to find the best unit for your needs. For more personalized information on Vancouver from Condo.Capital, please fill out the form and someone will contact you promptly. Millennium Developments has years of experience in building splendid dwellings for their customers, and enhancing the lives of communities. Their in-house construction management expertise coupled with retention of experienced consultants enables them to review designs, budget, and build elegant condos. Millennium strives to build quality and affordable designs in their condominium projects. Pennyfarthing Homes has over 35 years of experience in the design and development of high calibre condos in prime neighborhoods across Vancouver. Their condos and communities are built far above the average with high quality materials. With Pennyfarthing you not only get better finishes and build quality, but also deep customer satisfaction. Coromandel is dedicated to building innovative living environments that are truly designed for their customers. Coromandel builds on their vast experience, fostering long-term relationships with high-caliber architects, interior designers, and construction companies. Coromandel combines the latest advances in technology while being sensitive to the unique nature of every location.